How do I set up Employer Details for SuperStream? Step 1: Enter all organisation information details. 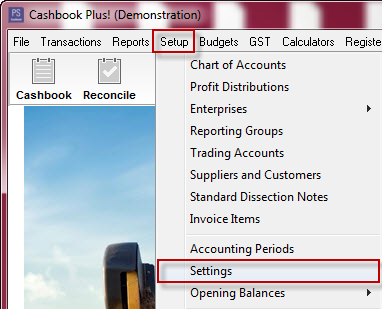 Click on the Setup > Setting menu option. 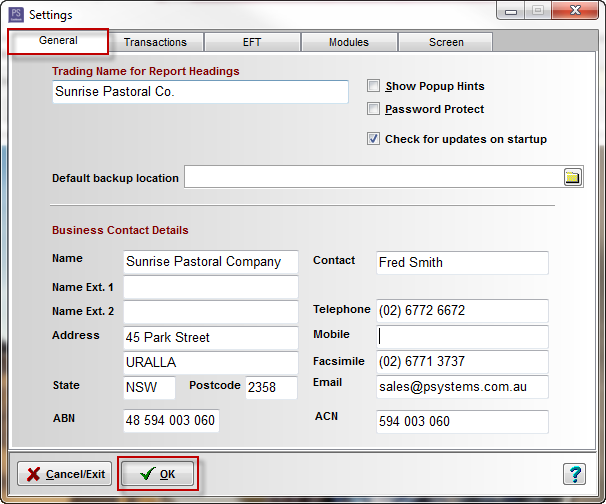 Step 2: Enter bank account details and set bank as the default SuperStream Account. Click on the Chart toolbar option. Click on the Banks tab. Payer name - name of the bank account as shown on your bank statement. BSB Number - as shown on your bank statement. Bank Account No. : - as shown on your bank statement. Tick the SuperStream Account check box, to set this bank account as your default account for SuperStream contribution payments. Click the OK button to save. 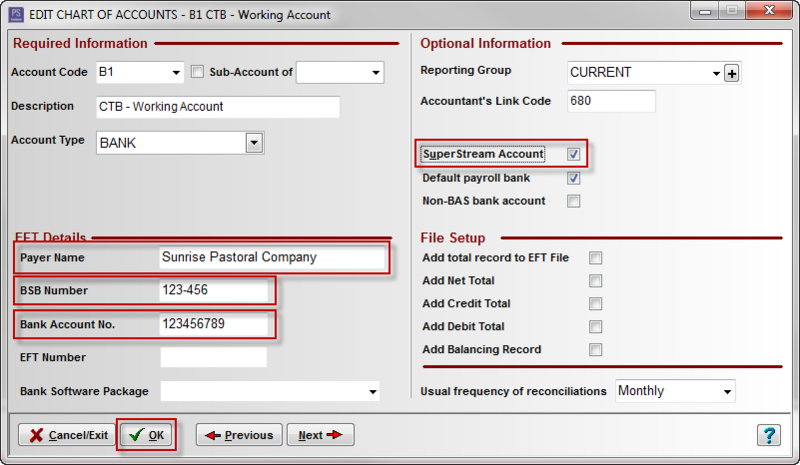 Click on the following link for SuperStream - Employee Details Setup. Click on the following link for SuperStream - Employee Tax and Superannuation Fund Setup.